Cricket Club: New Facilities Planned !! The walk starts from 10am, from Chilham, Godmersham, Boughton Aluph, Challock or Molash church. It links these churches in a clockwise circular 16 mile route following footpaths, bridleways, country lanes and private paths, some of which are made available only on the day by the land-owners. 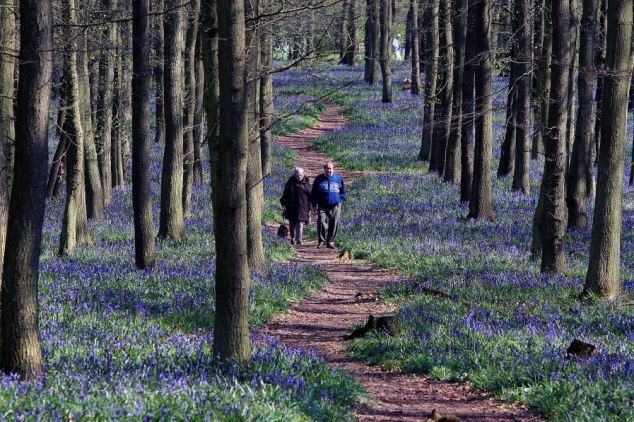 The route passes through some of the most scenic countryside in East Kent for all to enjoy, and with the bluebells out and the cuckoo calling you can be sure of a lovely day. You can choose to complete the circuit or not provided you start and finish at any of the churches. This is a sponsored walk in aid of the participating churches, the Kent Air Ambulance and/or the Pilgrims Hospices, and funds raised are distributed according to your wishes as indicated on the entry form. Those without sponsors are equally welcome and are asked to make a minimum donation of £5 each. The churches also have delicious home-made refreshments (and loos) to offer while you take a welcome break. For more information or for entry and sponsorship forms, contact any of the local churches, the charities, or phone 01233 641913. Or you can just turn up on the day. The best Tea and Cake served in the Churches though out the walk .!! Neighbourhood Plan "Boughton Aluph and Eastwell Local Plan"